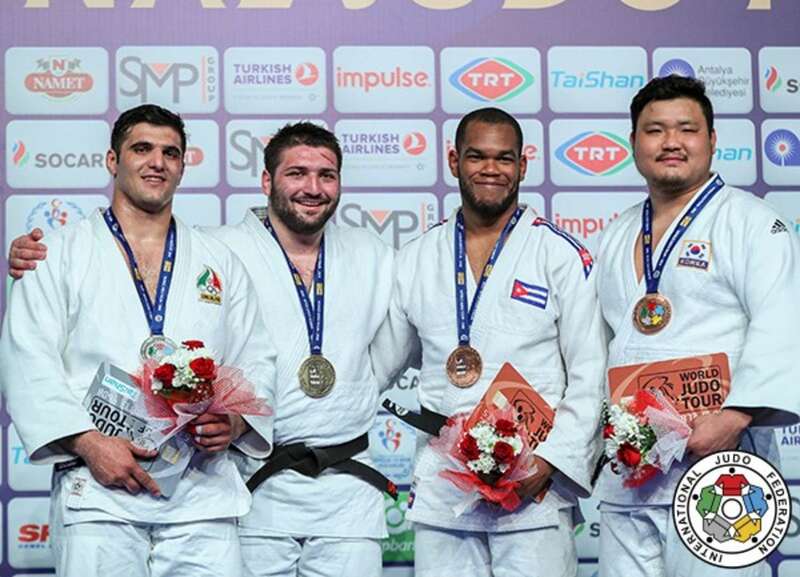 The men’s heavyweight category was heavy on excitement once again this weekend as all eyes were on the final contest of the Antalya Grand Prix 2018. 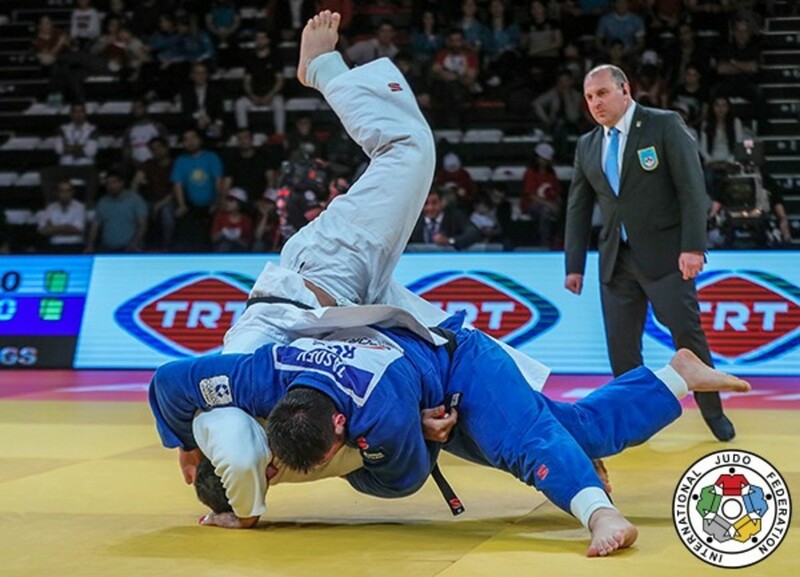 It was yet another compelling +100kg final that had viewers on the edge of their seats following an outstanding clash between World Judo Masters winner Guram TUSHISHVILI (GEO) and former Grand Slam winner Javad MAHJOUB (IRI) in the Tbilisi Grand Prix seven days ago. A week removed from the thriller in Tbilisi, MAHJOUB was back and with gold in mind after winning nine Grand Prix medals but never gold. The story picks up when you learn that MAHJOUB missed the birth of his first child in mid-week as he was already in Antalya ready to compete for his country and to maintain his steady climb up the heavyweight rankings. Javad’s baby girl Hilda MAHJOUB may be some distance away in Iran but he was thinking of her all day long while he was competing. 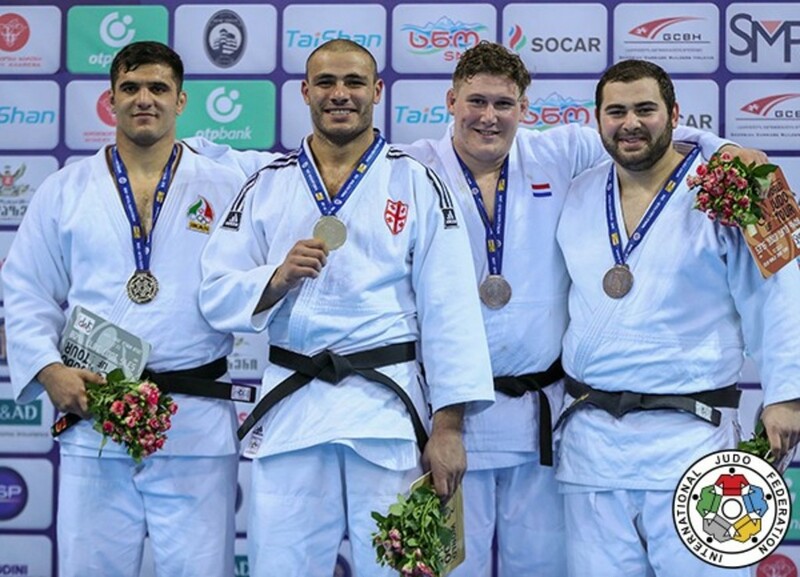 While MAHJOUB may look slightly under-sized for the category he moved up to in 2017, what he lacks in size he makes up for in heart and again left everything on the tatami with a lung-busting performance. Junior world champion Inal TASOEV (RUS) did not read the script as he erased the headlines journalists had already penned and won his first IJF World Judo Tour crown in golden score to give a sublime finish to the competition when he threw with an o-goshi for ippon. Both men deserve plaudits for their attacking efforts as they almost went throw-for-throw which made for an exhilarating gold medal contest. After his second Grand Prix silver medal in the space of a week, MAHJOUB let all of his emotions out after a tumultuous week. “It is difficult to put into words what I am feeling at the moment,” said MAHJOUB who earned two Grand Prix silver medals either side of the birth of his daughter. “My body and spirit is here in Antalya but my heart is home with my baby girl who means the world to me. “I knew that this may happen while I was away and I was prepared for it as my career is what lets me provide things for my family. MAHJOUB feels that there is still a lot more to come from him and underlined his immediate plans as the IJF World Judo Tour takes a moments breath before the Tokyo 2020 Olympic qualification phase starts in May. “I feel like I am getting stronger in this division but I know I can win and I am prepared to work harder to do it," said the 26-year-old. Ten-time Grand Prix medallist MAHJOUB, who expects to return to action at the Hohhot Grand Prix in May, shared his post-event plans which revolve around his family rather than the tatami. Discover the results from the final day of the Antalya Grand Prix 2018. 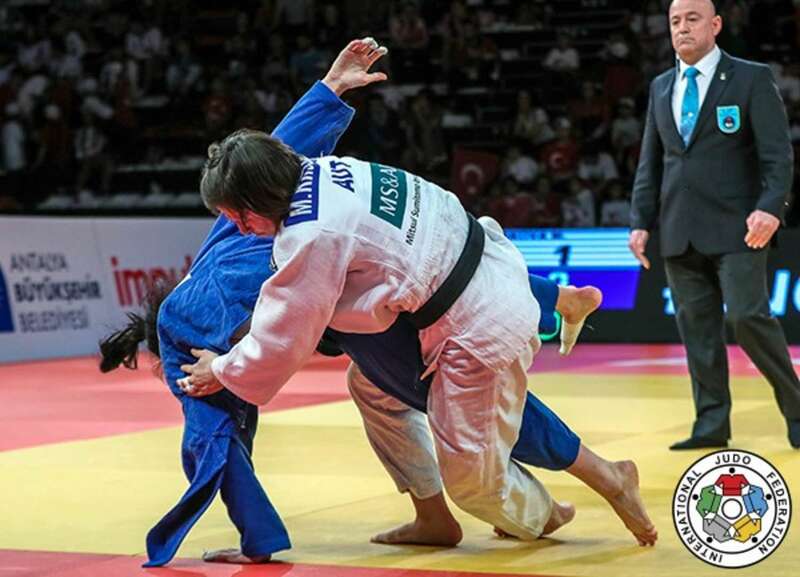 Kosovo have unearthed another gem on the IJF World Judo Tour as 21-year-old uchi-mata specialist Loriana KUKA (KOS) wasted no time in making her presence felt at the top level with a eye-catching victory at -78kg. 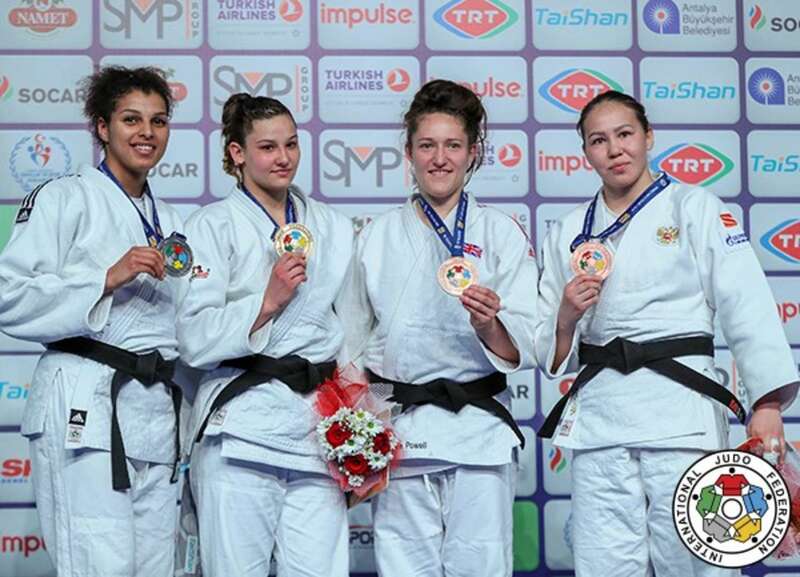 Tbilisi Grand Prix silver medallist Anastasiya TURCHYN (UKR) opposed KUKA in the final and it was the Kosovo judoka who won their first clash with a buzzer-beating ouchi-gari. The top prize represented Kosovo’s first ever medal at this weight and made sure that the land Olympic champion Majlinda KELMENDI made famous finished the competition top of the medal table. In the first semi-final KUKA threw world number 43 NIKIFOROVA (RUS) for ippon with an uchi-mata with 45 seconds left on the clock to guarantee one more medal for Kosovo. KUKA led with a waza-ari from a hip throw before ending the contest in fine fashion. In the second semi-final TURCHYN defeated u23 European Championships bronze medallist Alexandra GIMALETDINOVA (RUS) in added time. GIMALETDINOVA struck first with a waza-ari from a tani-otoshi before TURCHYN replied with an osoto-gari for a waza-ari score. In golden score the Ukrainian sealed a place in the final from a ouchi-gari which earned her second and match-winning waza-ari. The first bronze medal contest was won by world bronze medallist Natalie POWELL (GBR) who defeated GIMALETDINOVA with a professional performance. World number three POWELL earned her 16th Grand Prix medal by a waza-ari score as GIMALETDINOVA offered little under an onslaught from the Welsh judoka. Only two judoka have won more Grand Prix medals than POWELL (Luise MALZAHN of Germany and Otgontsetseg GALBADRAKH of Kazakhstan) and the Irfon Judo Club product will be one of the favourites at the European Championships later this month. The second bronze medal was won by NIKIFOROVA who went ahead against Agadir Grand Prix bronze medallist Yarden MAYERSOHN (ISR) with a waza-ari score from an osoto-makikomi. Russian NIKIFOROVA added her second and match-winning waza-ari with a sode-tsurikomi-goshi to capture her first IJF World Judo Tour hardware. European u23 Championships bronze medallist Sebile AKBULUT (TUR) gave the hosts their second gold medal in as many days as she conquered Ekaterinburg Grand Slam winner Larisa CERIC (BIH). Turkey finished third in the medal table with an excellent haul of four medals (two gold, two bronze) as world number 138 AKBULUT, who finished fifth here a year ago, found a way past CERIC. 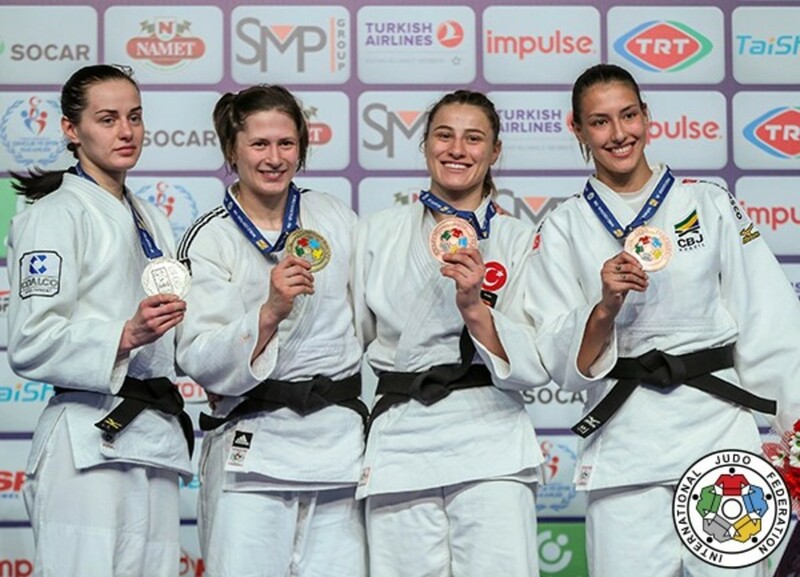 AKBULUT beat CERIC for the first time with an ouchi-gari which scored a waza-ari and the home judoka held on for her first medal in IJF surroundings. Number one seed Komronshokh USTOPIRIYON (TJK) won his third Grand Prix gold medal after a tense battle with world champion Nemanja MAJDOV (SRB). MAJDOV had finished fifth on his return in March at the Agadir Grand Prix. The 21-year-old Serbian judoka wore his red backpatch for only the second time and failed to win what would have been his first Grand Prix title after being penalised for his third shido for pushing his opponent out of the area. USTOPIRIYON usually makes a strong start but tends to fade late on and as both were nervy it was the Serbian who made the costly mistake. In the first semi-final USTOPIRIYON defeated Abu Dhabi Grand Slam bronze medallist Mammadali MEHDIYEV (AZE) who was disqualified after he was penalised with his third shido. 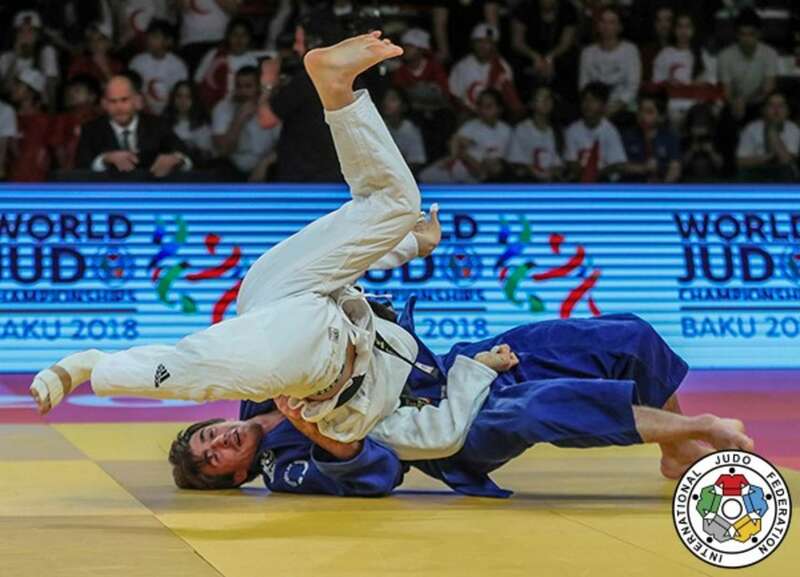 In the second semi-final MAJDOV bested Cancun Grand Prix silver medallist Tural SAFGULIYEV (AZE) by ippon from a uchi-mata-sukashi with 71 seconds left in their contest. 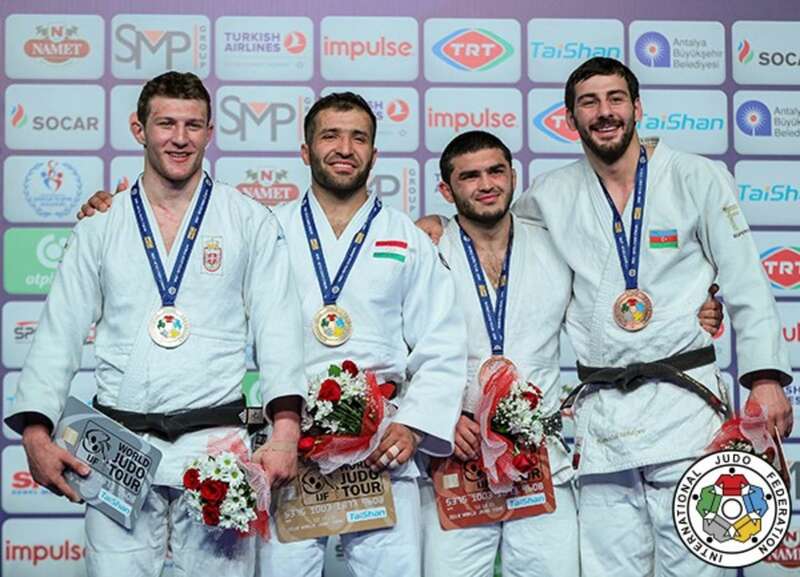 The first bronze medal was won by SAFGULIYEV who earned his fourth Grand Prix medal by edging out 22-year-old Tbilisi Grand Prix bronze medallist Li KOCHMAN (ISR) by a waza-ari score as Azerbaijan claimed the first medal in the final block. A ko-uchi-gari was the best executed technique during the contest and that piece of ashi-waza sent the Azeri onto the medal podium. The second bronze medal went to MEHDIYEV as Azerbaijan made it a clean sweep of -90kg bronze medals. 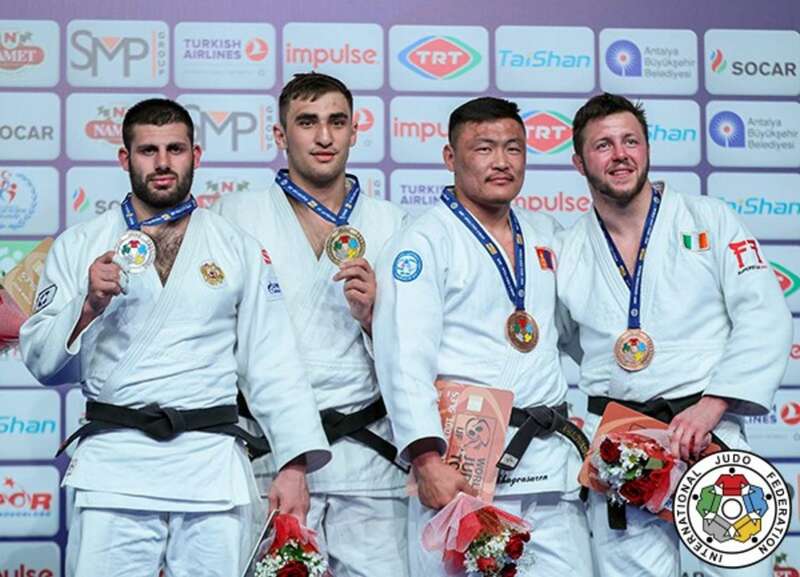 MEHDIYEV won his fifth Grand Prix honour by catching Tbilisi Grand Prix winner Rafael MACEDO (BRA) with an ouchi-gari and changed direction to set his opponent off balance and over for ippon. Junior World Championships winner Zelym KOTSOIEV (AZE) won a rematch of 2017 Junior Worlds final to become a two-time Grand Prix winner. The confident 19-year-old saw off Junior Worlds runner-up Arman ADAMIAN (RUS), 21, who was making his first start on the IJF World Judo Tour, while KOTSOIEV, 19, won the Ulaanbaatar Grand Prix in 2016. KOTSOIEV scored two waza-ari in a relatively one-sided final as the Azeri showed his superiority over his former junior rival and their intriguing series of contests may long continue on the senior stage. In the first semi-final World Judo Masters bronze medallist CIRJENICS Miklos (HUN) lost out to ADAMIAN by ippon. The Hungarian went for a ko-soto-gake and the Russian took control to drive his opponent over for ippon. In the second semi-final KOTSOIEV moved forward when Ekaterinburg Grand Slam winner Niyaz ILYASOV (RUS) had to forfeit the contest when he sustained a leg injury. The first bronze medal was won by two-time Grand Prix winner LKHAGVASUREN Otgonbaatar (MGL) as ILYASOV could not come out to contest the final due to an injury. The result was a much-needed boost for the Mongolian who had been without a medal since moving up to -100kg last year. The second bronze medal went to world number 10 Benjamin FLETCHER (IRL) who caught CIRJENICS with a ko-uchi-gari with one second left. Düsseldorf Grand Slam silver medallist FLETCHER kept working until the end and got his reward as he won by ippon and will be seeded for the European Championships. 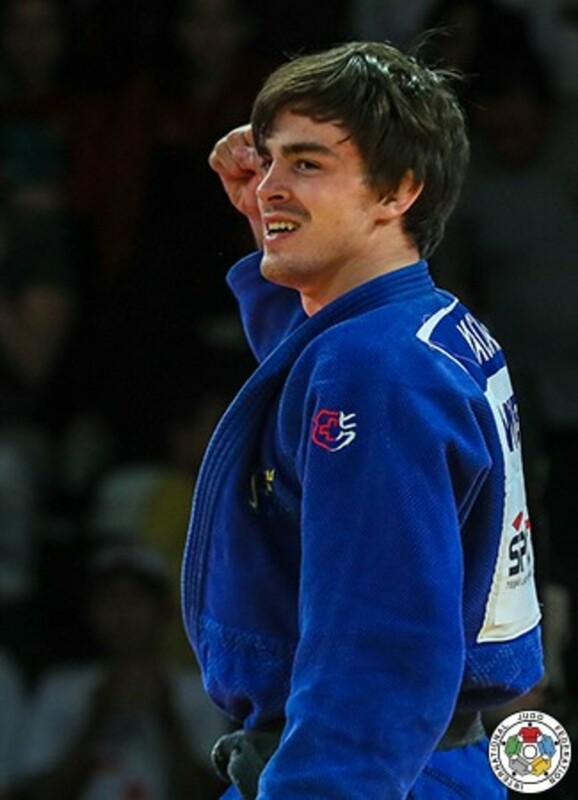 A tani-otoshi from the Hungarian was countered by Ireland’s FLETCHER to win his second Grand Prix medal in 2018. Junior World Championships winner Inal TASOEV (RUS) went unbeaten on his first IJF World Judo Tour outing as he won all five of his contests by ippon for a stirring win in Antalya. TASOEV, 20, is arguably the most promising Russian heavyweight in years and on this performance could make his presence felt at the European Championships later this month. In the last contest of the Antalya Grand Prix 2018, TASOEV, 20, defeated Tbilisi Grand Prix silver medallist Javad MAHJOUB (IRI) in golden score after two minutes of added time with an o-goshi. MAHJOUB missed the birth of his first child earlier in the week in order to compete this weekend. In the first semi-final world number 100 Jonas INOCENCIO (BRA) lost out to MAHJOUB by ippon from a seoi-nage. In the second semi-final TASOEV defeated Düsseldorf Grand Slam bronze medallist Bekbolot TOKTOGONOV (KGZ) with a modified kata-guruma for ippon. The first bronze medal was won by world number 26 Andy GRANDA (CUB) who beat TOKTOGONOV by ippon from a thumping ouchi-gari. Cancun Grand Prix bronze medallist GRANDA, 26, had too much experience for TOKTOGONOV, 26, who first featured on the IJF World Judo Tour in February. The second bronze medal went to Paris Grand Slam silver medallist KIM Sungmin (KOR) who launched INOCENCIO with an osoto-makikomi for ippon. KIM was a relieved winner as he won his country’s third medal in Antalya from a five-strong team. Day two of the Antalya Grand Prix 2018 belonged to Sweden who won two gold medals to skyrocket up the medal table and into second place. Top seed Anna BERNHOLM (SWE) went unbeaten in the -70kg category while the seeded Tommy MACIAS (SWE) grabbed -73kg gold. Former -63kg judoka BERNHOLM (below), 27, missed out on a spot at the 2016 Olympics as compatriot Mia HERMANSSON went who was eliminated in the first round. The former knew that something had to change if she wanted to realise her ambitions in top-flight judo and a switch to the -70kg category in 2016 has not only reinvigorated her career but transformed it. 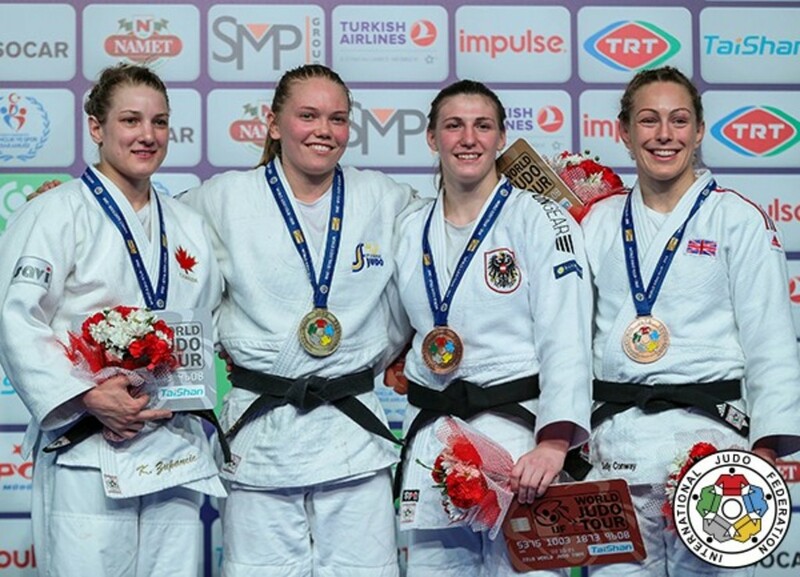 BERNHOLM won Grand Slam gold for the first time in her career last year and now has Grand Prix gold to add to her growing medal collection after another inspired display in the -70kg category. Tommy MACIAS also missed out on Rio 2016 and has had a notable upturn in results since missing out on a spot at South America’s first Olympics. World number six MACIAS (above), 25, has also improved his results but in the same category. The Stockholm native, like his teammate and fellow gold medallist, has also struck Grand Slam and Grand Prix gold since 2016. Sweden prove time and time again that no matter the expectations and the size of a country, or a team, craft and desire – as well as world-class skills – can conquer any stage and opponent with no end of excitement. Vedat ALBAYRAK (TUR) won his second Grand Prix gold for Turkey in the last two months with another commanding display in the -81kg category. 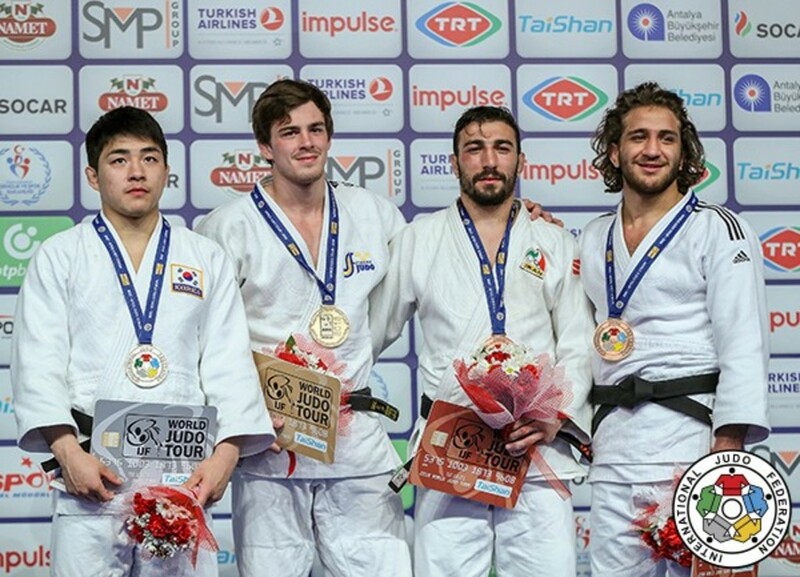 Agadir Grand Prix winner ALBAYRAK made his debut for Turkey in January with silver at the Tunis Grand Prix and continued to make his presence felt on the IJF World Judo Tour today. 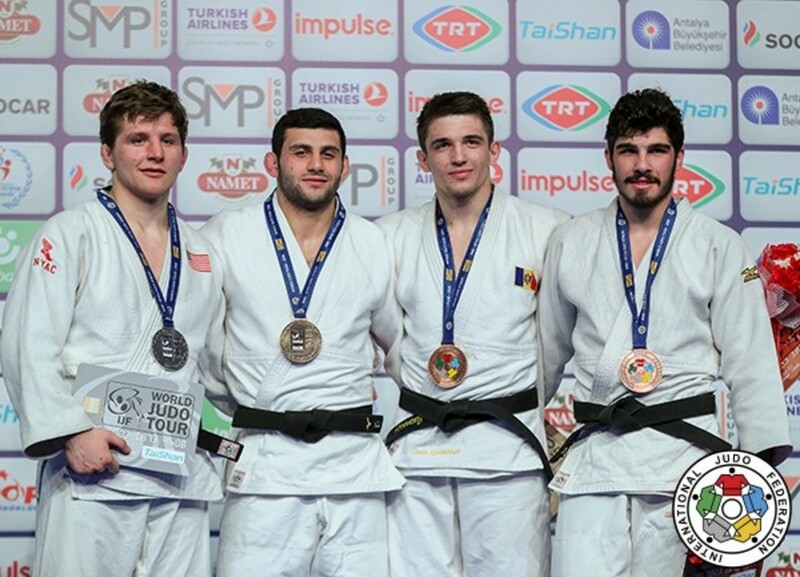 ALBAYRAK, 24, who previously represented Greece, is now three for three, in terms of medals, at Grand Prix events in 2018 for Turkey with a short-lived outing at the Paris Grand Slam the only time he has missed the podium this year. Turkish judo’s prolific medallist will be a major contender at the European Championships later this month and will be a judoka to keep tabs on during the road to the Tokyo 2020 Olympic Games. 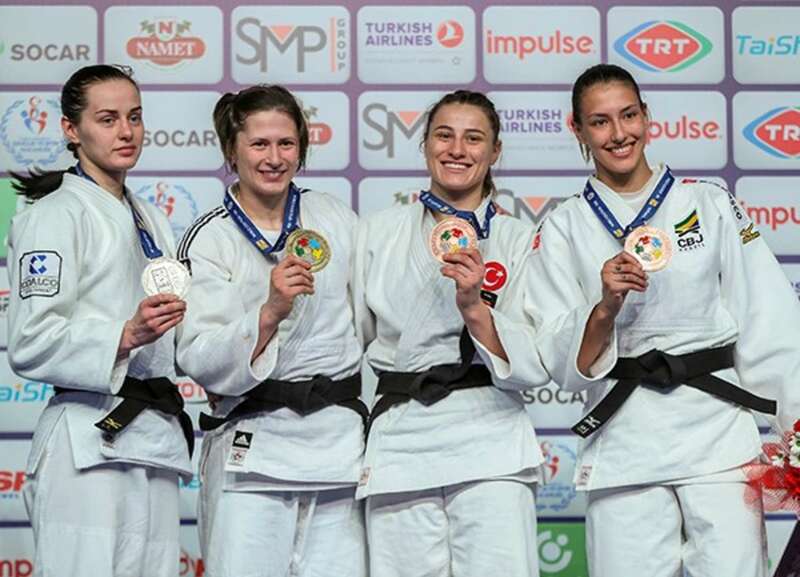 The hosts also had reason to celebrate in the women’s -63kg category when world number 46 Busra KATIPOGLU showed her grit to seal a place on the podium at home. KATIPOGLU lost a mammoth semi-final after six minutes of golden score. Having spent 15 minutes on the tatami in total the Istanbul-based judoka regained her composure and put her emotions aside to come out in the final block with renewed determination. The two-time Grand Slam bronze medallist stormed to victory in her bronze medal contest to the elation of the crowd and her parents who were matside. 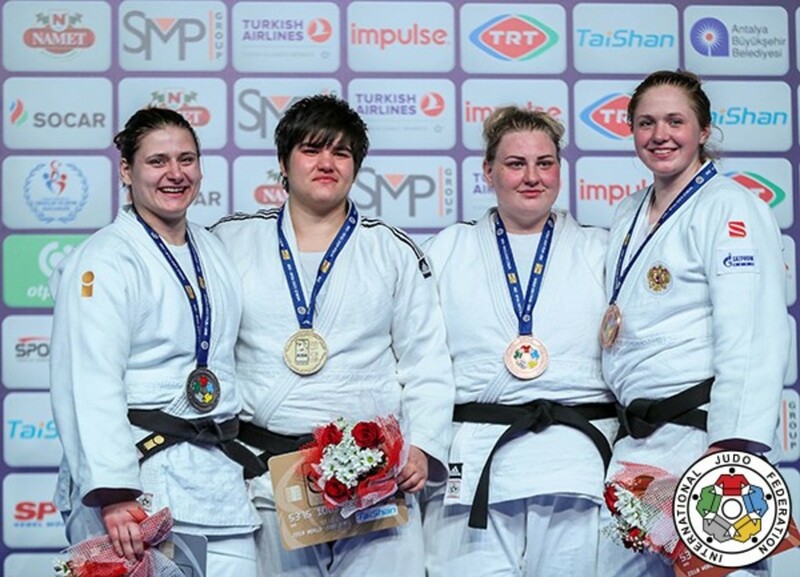 Rarely has a bronze medal meant so much to one judoka but for KATIPOGLU (centre - right) it meant the world as she could stand proud on the podium and see her flag raised in front of her compatriots and most importantly her mother and father. 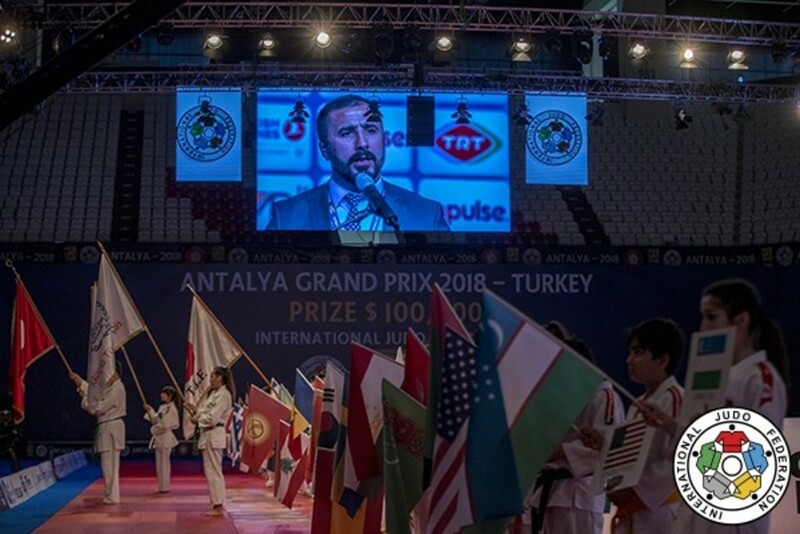 Sezer HUYSUZ, Turkish Judo Federation President, made the opening address following a parade of the flags of the 50 competing nations. “Dear Governor, IJF President, dear national teams, judoka, officials, guests, I welcome you all to the Antalya Grand Prix 2018. Antalya is one of the most beautiful cities in Turkey and has a wonderful sporting tradition. 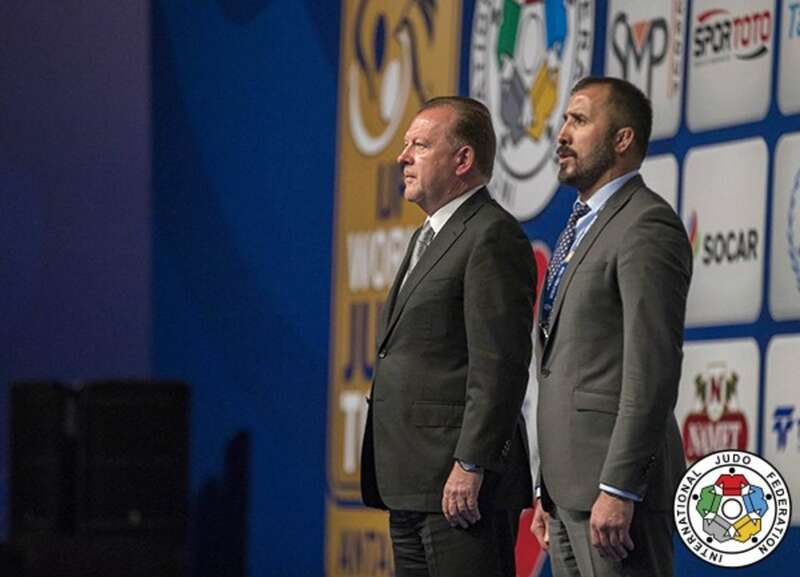 Marius L. VIZER, IJF President, addressed the audience to conclude the opening ceremony. “Dear President (Pat) HICKEY, dear President HUYSUZ, dear judoka, officials, it is a great pleasure to come back every year for the Grand Prix in Turkey. I want to congratulate the Turkish Judo Federation for the development of judo and promotion of our sport around the world as well as for their organisation of our elite Grand Prix events over the last few years.